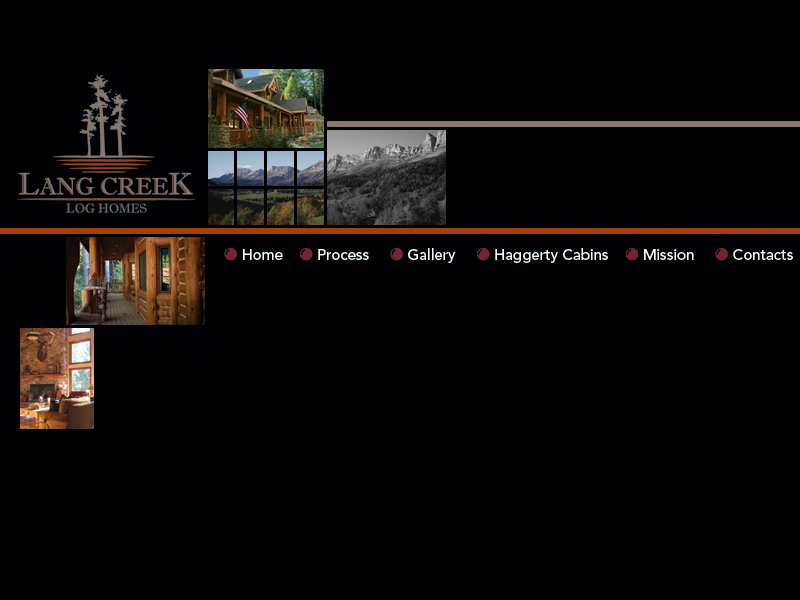 Lang Creek Log Homes is partnering with a leading modular home manufacturer to create an affordable line of modular log cabins. 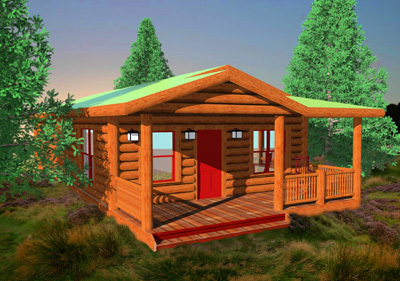 The rendering below is for a complete 3 bedroom, 2 bath, 1,400 sqft turn key modular log cabin program for under $165,000.00. We handle it all, from foundation, roof, interior finishes and appliances to handing our client the keys. There are really no exclusions to this package. We skin the exterior with real log slabs and we also panel the living and dining room interiors in a rustic T & G pine or log siding of your choice. This modular log cabin includes transportation up to 300 miles from factory, setup, interior and exterior finishes, foundation, roof, windows and doors, granite countertops, hardwood cabinets, refrigerator, stove, dishwasher, sinks, garbage disposal, bathtubs, showers, toilets, water heater, electrical, plumbing, TV and Phone outlets, flooring, baseboard moldings, and 2 exterior hose bibs. We hand you the keys, and you move in. It's that simple. If you have been waiting to purchase a log cabin for your vacation hideaway or as your retirement home but are now on a budget, this modular log cabin from Lang Creek could be your ticket to realizing those dreams.